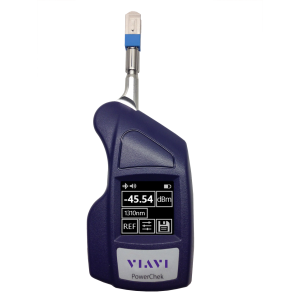 The optical power meter for every fiber technician—compact, intuitive, reliable, and always safe! PowerChek is an innovative new optical power meter that equips fiber technicians with the ability to complete jobs faster, correctly, and on time – the first time. This compact instrument not only measures optical power, but also provides additional benefits that allow users to ensure safe measurements, document results, generate reports, and integrate with other devices to enable numerous additional capabilities.